Oliver Haupt's photography gets awarded at many awards. My series for “WEOUTDOOR” from Barcelone wins a Gold Award at PX3 Prix de la Photographie at Paris. Once again and for the 5th consecutive edition my photos get selected by LÜRZER’S ARCHIVE 200 BEST AD PHOTOGRAPHERS WORLDWIRDE. At 2017 AFP Lux Awards in Barcelona my series “Los Inmortales” for the EL PAÍS SEMANAL wins a Silver Medall. 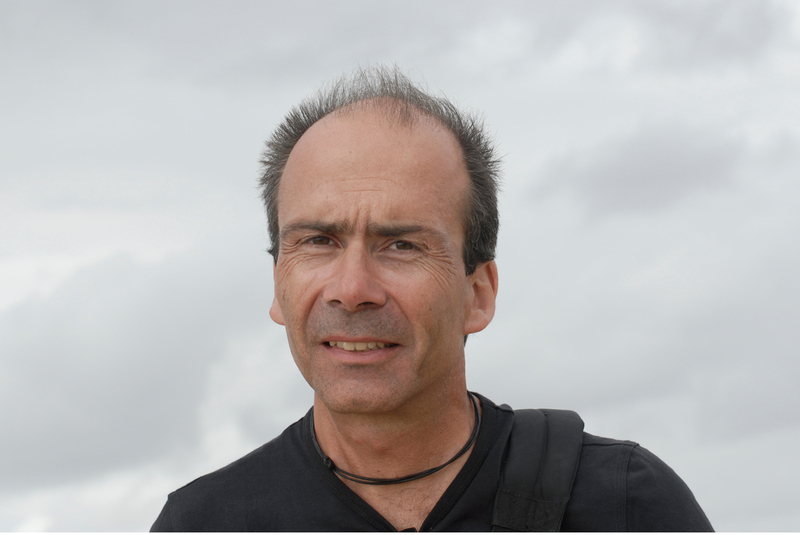 Writer of the story: Guillermo Abril. These two images get selected for the 2017 KAPA International Advertising Photography Show at Seoul, Korea. 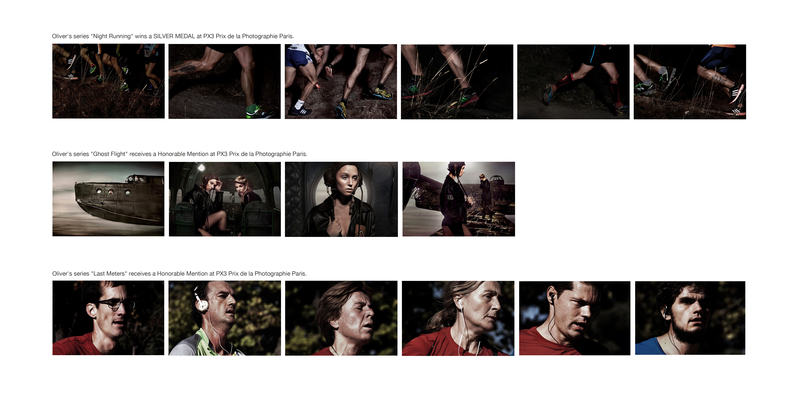 Oliver's series "Night Running" wins a SILVER MEDAL at PX3 Prix de la Photographie Paris. Oliver's series "Last Meters" receives a Honorable Mention at PX3 Prix de la Photographie Paris. Oliver's series "Ghost Flight" receives a Honorable Mention at PX3 Prix de la Photographie Paris. Oliver's series "Head Under" wins a SILVER MEDAL in the cathegory PERSONAL WORK at 2016 LUX Award of AFP Barcelona. Very proud that my shot got selected at the AOP Awards and entered the Exhibition at The Old Truman Brewery in Oct. 2016. The image "Only Kids" will be taking part at the exposition "No Words" at the Gallery BAT Alberto Cornejo alongside Photoespañe 2016. For the 2016/17 edition of Lürzers' Archive 200 Best International Advertising Photographers these 6 photographs get selected. This makes it the fifth consecutive edition Olivers' work is selected by the judges. Oliver ranks over the last 5 years on the 12th position of the Lürzer's Archive International Ranking. Production of the photos: the unkown artist studio. The 6th of February 2016 opening of group show ¨30 Fotógrafos de Hoy¨ as part of SegoviaFOTO 2016 Art Show with Oliver's ¨Silence¨ photographs. Oliver's photos for the campaign for Traffic Safety in Switzerland win a GOLD MEDAL in the cathegory ADVERTISING at 2015 LUX Award of AFP Barcelona. Agency: Advico Y&R Switzerland, General Director: Marc Göhring, Executive Creative Director: Bob Heron, Art Director: Frédéric Savioz, Production: the unknown artist studio. Oliver's photos for the St. Brides Choir from London win a BRONCE MEDAL in the CATHEGORY LIFE at 2015 LUX AWARD of AFP Barcelona. Choir Director: Robert Jones, Production of the photographs: the unknown artist studio. 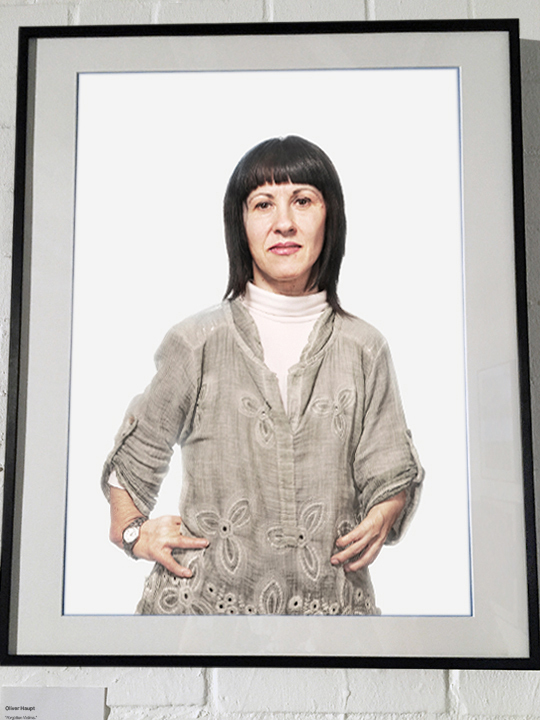 Oliver's portrait of Luisa Torrijo for The Sunday Times Magazine enters the 2015 AOP Award Show in London as Finalist. Director of Photography: Jon Jones, Reporter: Caroline Scott, Production: the unknown artist studio. At the PX3 Prix de la Photographie Paris these 6 series get selected and win 1 Bronce Medal and 5 Honorable Mentions. The spanish editorial: "La Fabrica" published Oliver's "Silence" and "Nature Morte" series in their new edition: "Contemporaries". The campaign ¨Master's Gin¨ wins a Silver Medal at the Lux Awards at the AFP Bareclone in November 2014. 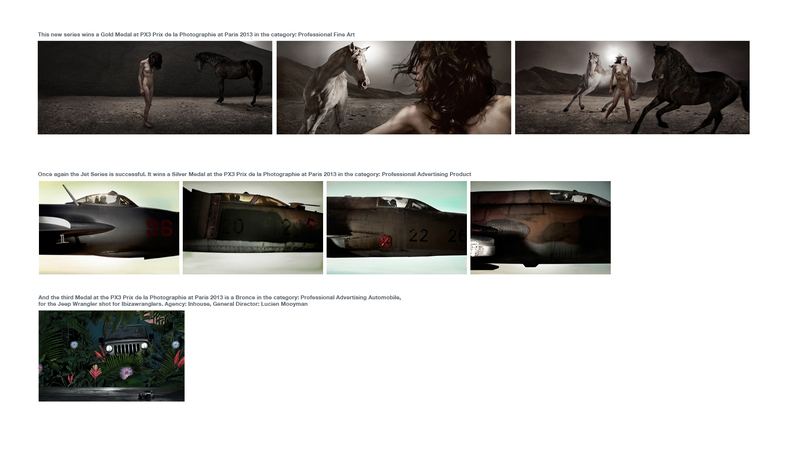 The ¨Transporter Series¨ wins two Gold Medals at the PX3 Prix de la Photographie Paris 2014 in the cathegories Professional Advertising Self Promotion and Professional Advertising Calendar. The series ¨Youth¨ wins a Silver Medal at the PX3 Prix de la Photographie Paris 2014 in the cathegory Professional Portraiture. The series ¨High Noon¨ wins a Silver Medal at the PX3 Prix de la Photographie Paris 2014 in the cathegory Professional Portraiture. de la Photographie Paris 2014 in the cathegory Professional Advertising. For the 2014/15 edition of Lürzers' Archive 200 Best International Advertising Photographers these 4 photographs get selected. This makes it the forth consecutive edition Olivers' work is selected by the judges. Series and the ¨Jet¨ Series take part at the 10th Interternal Advertising Photo Exposition in Seul at Korea Advertising Culture Center. These series pick up 7 Honourable Mentions at the International Photography Awards in the cathegories Professional Fine Art, People, Children, Selfpromotion and Lifestyle. This new series wins a Gold Medal at PX3 Prix de la Photographie at Paris in the category: Professional Fine Art. In the same event Oliver receives for his work a Silver and a Bronce Medal in the category Advertising Professional Product and Advertising Professional Automobile. 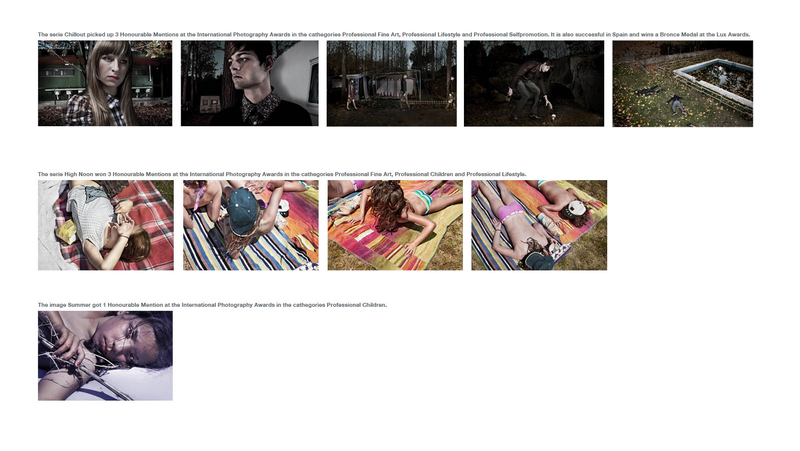 These 6 photographs get selected for the Lürzers' Archive 200 Best International Digital Artists 2013. And the other 2 images of the Jets enter the Lürzers' Archive Magazine. 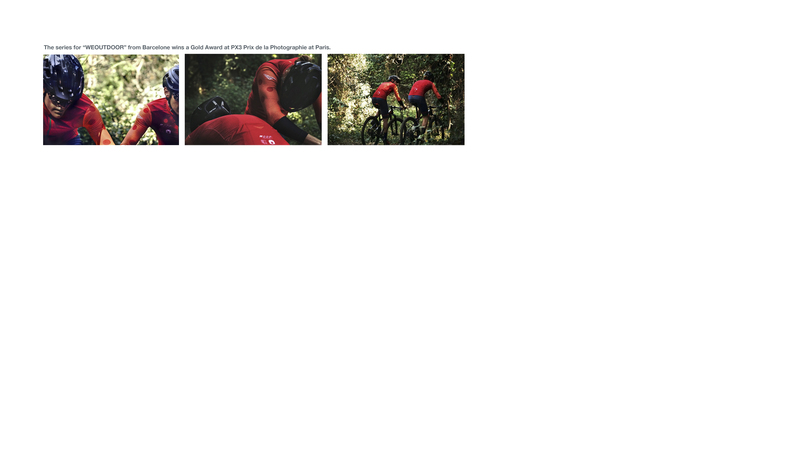 Campaign India selects Jeep Photograph to Ad Pic of the week 18th Jan 2013. And the shot wins a Bronce Medal at 2013 PX3 Prix de la Photographie, Paris. The ¨Jet¨ Series is Winner in the AOP Photographers Awards 2012 as Best In Category. It is also successful in Spain and wins a Silver Medal at the Lux Awards at the AFP Bareclone in November 2012. And in 2013 it wins a Silver Medal at PX3 Prix de la Photographie, Paris. AFP Bareclone in November 2012. The photographs of ¨Anna¨ win a Silver Medal in the PX3 Prix de la Photographie, Paris 2012. The pictures of The Black Demons Madrid get a Honorable Mention at PX3 Prix de la Photographie, Paris 2012. This photograph fot the Agency Dimension, San Sebastian for the jewelery brand, EGUZKILORE got a Honorable Mention at PX3 Prix de la Photographie, Paris 2012. And a Honorable Mention at IPA International Photography Awards 2012. The Lürzers' 200 Best Advertising Photographers 2012/13 selects four fotos from the series Kids. The pictures also get an Honorable Mention at the PX3 Prix de la Photographie, Paris 2012, and a Lux Silver at the AFP Lux Awards 2010. The series ¨Fight the Hoodie¨ for the H Magazine recieives an Honorable Mention at the PX3 Prix de la Photographie, Paris 2012. For the 2012/13 edition of Lürzers' Archive 200 Best Advertising Photographers, the series gets selected making this the third consecutive year Olivers' work entering the special. It is also successful in Spain and wins a Gold Medal at the Lux Awards at the AFP Bareclone in November 2012. 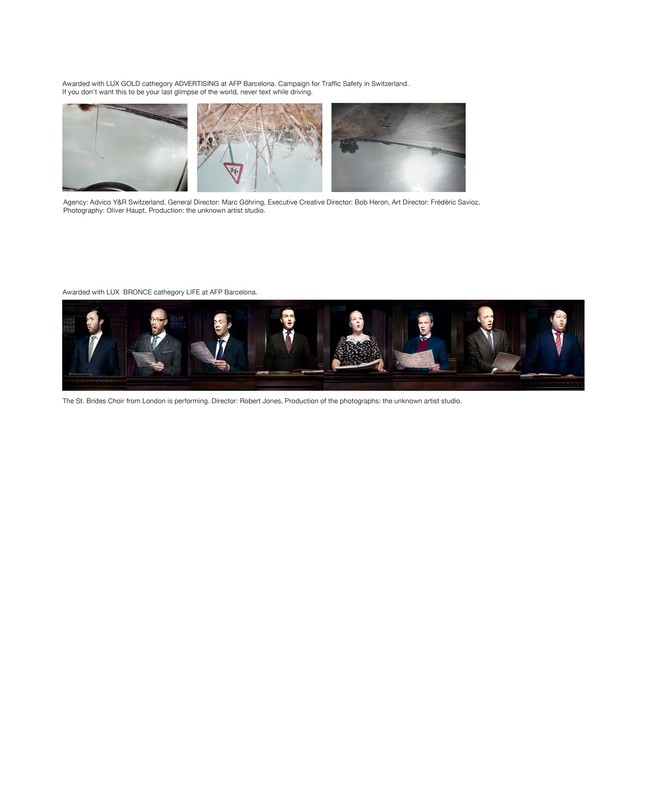 The series ¨Globo¨ recieives an Honorable Mention at the PX3 Prix de la Photographie, Paris 2012. The Corona Campaign with Olivers' photos is finalist at Cannes Ad Festival in 2011. It is also finalist at El Sol 2011. Agency: JWT Madrid, Executive Creative Director: Miguel Bernfica, Creative director: Jaime Chávarri & Juan Gracía-Escudero, Art Director: Juan Gracía-Escudero, Copy: Jaime Chávarri, Producer: Antonio Ortega & Ana Malpica. This image for Mercedes-Benz for the agency El Laboratorio wins in the print section at the awards of ¨Los Anuncios del Año 2011.¨ The ad gets published in the Matador Design Magazine. 2011 Olivers' work is succesfull at the ¨Photography Open Salon¨of Galery Huit at Arles. Later exhibition alongside Les Recontres d'Arles at Gallery Huit. Spring 2012 the show moves to Malaysia. The same image receives a Honorable Mention at IPA International Photography Awards 2012. 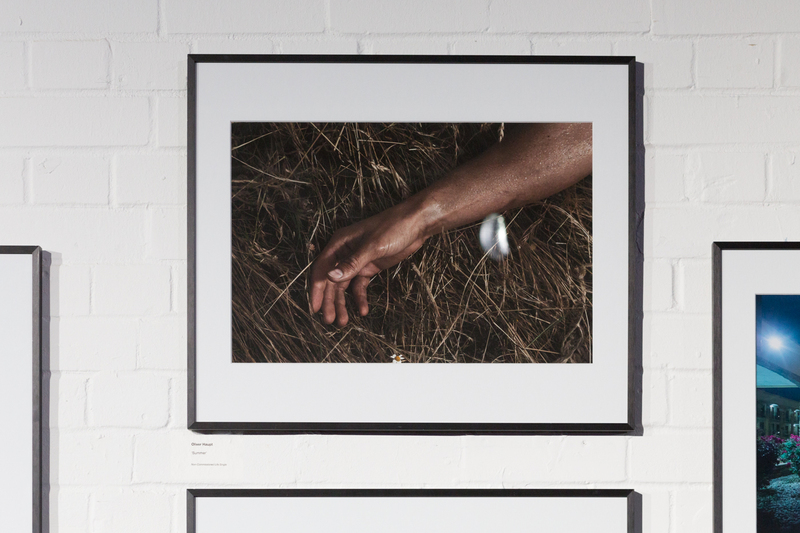 One photo is Winner at AOP Open Award 2011 and 2 get selected Finalst. In 2011 LUX Finalist at AFP Barcelone for the series ¨Little Heroes¨ for El Pais Magazine. In 2010 LUX Gold Award of AFP Barcelone for the series ¨Wild Thing¨for H-MAGAZINE. In 2010 LUX Silver Award of AFP Barcelone for the photographs of Pau Gasol for Banco Popular. 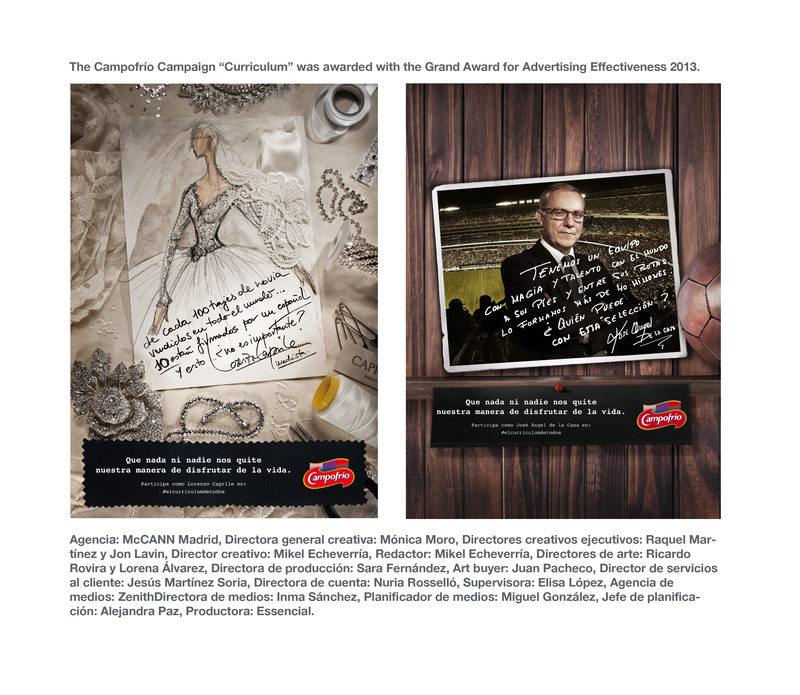 In 2010 LUX Silver Award of AFP Barcelone for the portraits for the Ce de Ce Campaign of Ruiz Nicoli, Madrid. In 2009 the series could win a Sol Bronce Award. In 2010 LUX Bronce Award of AFP Barcelone for the Chilout campaign. 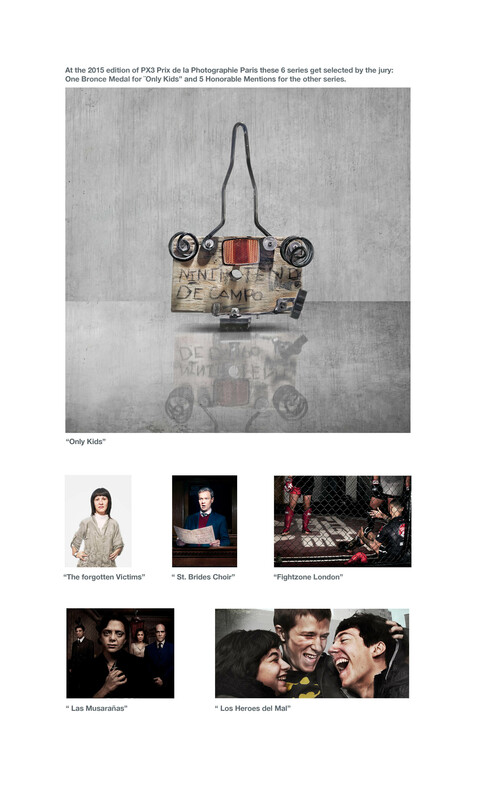 Since 2008 Olivers' photographs get selected by every new Lürzers' Archive 200 Best Advertising Photographers Special. In 2008 LUX Silver Award of the AFP Barcelone for the series ¨Mujeres Maltratados¨ for El Pais Magazine. 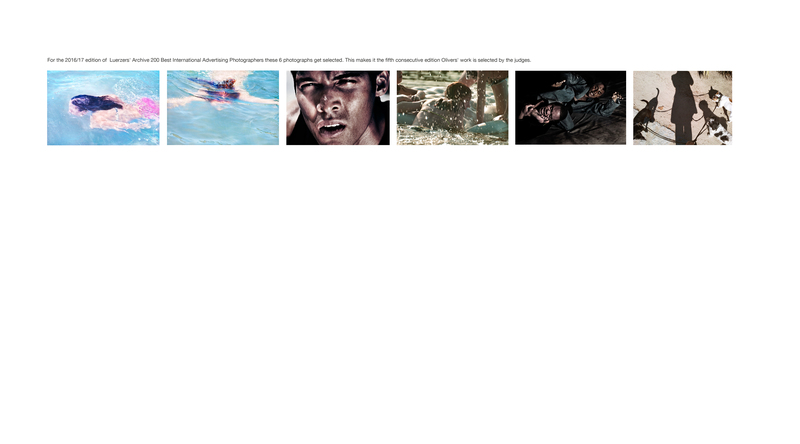 In 2007 LUX Bronce Award of the AFP Barcelone for the series ¨Conversos¨ for El Pais Magazine. Before becoming a photographer, Oliver developed his career as a creative in various advertising agencies. He could work for brands like Mercedes-Benz, BBVA, Altadis, Unicef, Linea Directa, Unilever, Procter & Gamble, Elida Gibbs, Holsten, Telekom, Ayuntamento de Madrid, Labour Party,….etc. 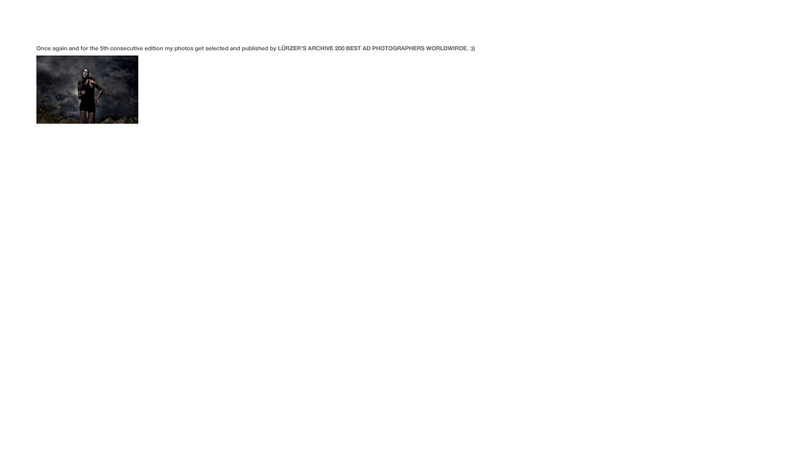 Please click on the image below for his showreel. Oliver Haupt grew up in Colone, he studied Arts and Photography. His photographs have been exhibited in several exhibitions and group shows in Munich and Bielefeld. Oliver has developed his career as a creative in advertising agencies around London, Hamburg and Madrid. In 2007 Oliver returned back to Photography. Oliver’s work was exhibited alongside Galerie Huit in London, Malaysia and Arles. In 2013 Oliver was shortlisted for Photoespaña. Having won several successful medals at PX3 Prix de la Photographie Oliver has been selected and awarded at Luerzers Archive, IPA, AOP, AFP and Cannes. He currently lives and works in London and Madrid, dedicating to his personal work and commercial projects.